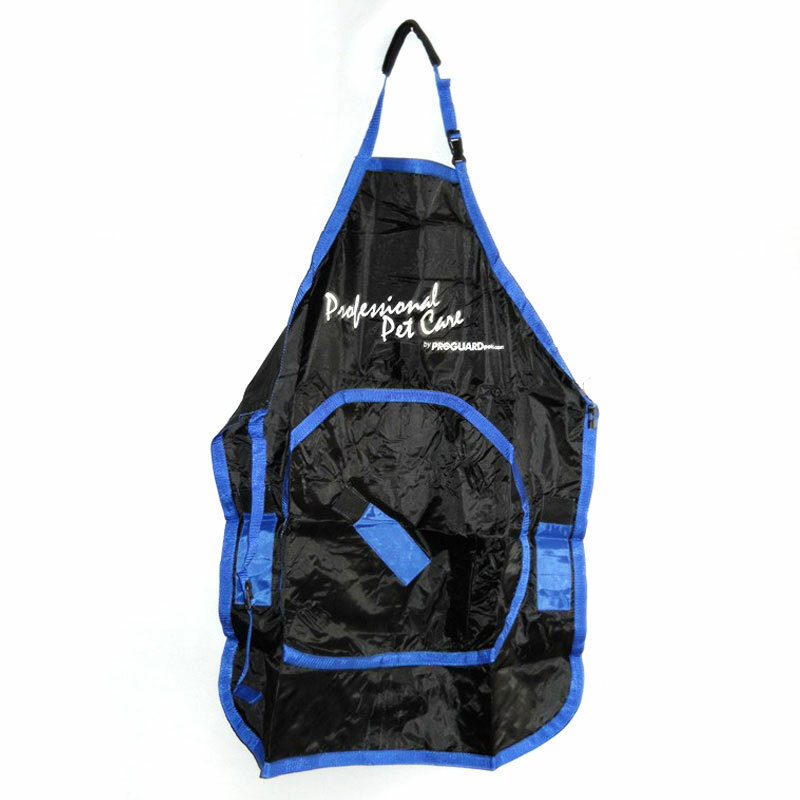 Deluxe groomer's apron. Heavy duty polyester construction. Large main pocket. Blade pockets cleverly hidden within the main pocket to hold up to 5 of your favorite blades in place with heavy-duty elastic. This keeps the blades safe, water tight and always in a convenient place ready for use. Has comb and sicssors pockets. The elastic perfectly holds these important items in place providing easy access to them. Also has a pencil pocket for holding those items that are sometimes hard to find when you really need them.